This past week on WWE RAW, we saw the shocking return of Batista, who attacked Ric Flair before the 70-year-old's birthday on RAW, hosted by Triple H and Stephanie McMahon. Batista attacked the Nature Boy to send a message to The Game, that he is ready for a challenge. Following last year's SmackDown 1000 episode, where Batista, and the other three members of Evolution were in the ring, The Animal challenged Triple H to a match - a match that will come to fruition soon. 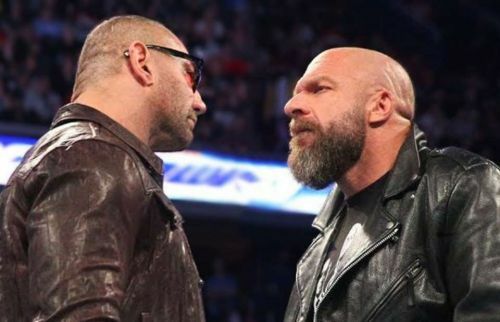 This match between Batista and Triple H will most likely take place at WrestleMania 35 later this year. A match of this magnitude, between two legitimate megastars of the WWE could maybe be hyped even more by the addition of a guest referee. WWE could maybe use their power and clout to use one of the McMahon family members to be the special guest referee in the match, to make life harder for Batista. Vince McMahon could very well be the special guest referee in a match between Triple H, his son-in-law, and Batista, having donned the role several times previously. 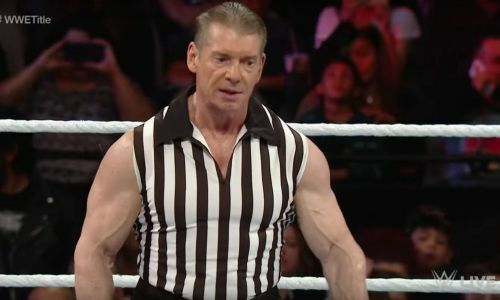 The last time that Vince McMahon was a special guest referee on WWE was three years ago on RAW, when he officiated the match between Roman Reigns and Sheamus. And on a stage like WrestleMania, the addition of McMahon could add to the spectacle as well as make things interesting in the match between Batista and Triple H.